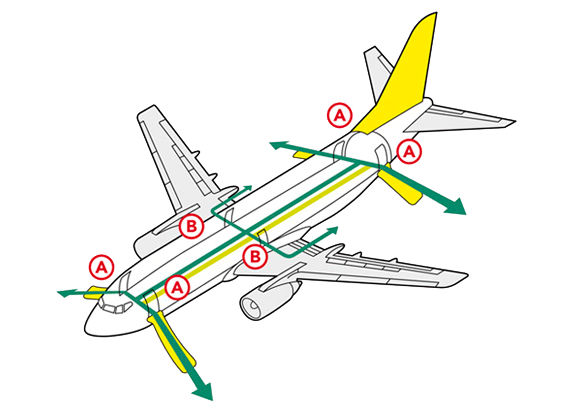 As a pilot, you enter an aircraft accustomed to the turbulence and other phenomena that may come. Your non-pilot passengers, however, may never have been in a small aircraft before, and thus may be apprehensive or unsure of what to expect. Help calm their fears while at the same time providing valuable safety information by giving your passengers our Flight Safety Card to read. The Flight Safety Card has two sides. Side one describes "normal" operations--including a briefing on tubulence, use of radios, and so forth. Side two is for emergency situations. This safety card is designed for use with passengers who already have some experience with the aircraft (especially the emergency side). Our safety card is generic, intended to be used in a variety of small aircrat operations. Disclaimer: It is YOUR responsibility as Pilot In Command to determine the suitability and legality of the Safety Card for your flight. Dauntless Software and persons associated therein will under no circumstances be responsible for for actions resulting from the use or misuse of the safety card. If you believe that some information presented in the safety card is not sufficiently in harmony with your standards for safety, DO NOT USE the safety card. It is YOUR responsibility to ensure that no FARs are violated in any way associated with the use of the safety card. While it is totally up to the pilot in command of any given flight to determine how or if to use the Safety Card, we mention that one possibly effective use is to use it as a checklist. Go over each item with your passengers, such as showing them the location and use of seatbelts and aircraft exits. The Safety Card is provided in more than one format to allow for variations between printers. The documents go out to the very edges of the printable area for most printers and beyond it for some. A little cutting and pasting may be required to get things right under some situations, and some printers just may be ill suited for the task altogether. We suggest somehow finding a printer that will make you a small number of good copies (in color, if possible), and then laminating the cards for multiple reuse. This card is made available free of charge for your convenience. We hope that in return you will consider our products in the future and/or tell others about them, especially our GroundSchool series of test prep software. Flight Safety Card - Make sure your passengers know what to expect and are prepared for eventualities. Free! This version is printed directly on center--best for high performance printers. Flight Safety Card - Make sure your passengers know what to expect and are prepared for eventualities. Free! This version is printed slightly off center--this version may work better on some printers. Flight Safety Card - Submitted by one of our visitors, Mr. Cary, this one takes a very pragmatic view.